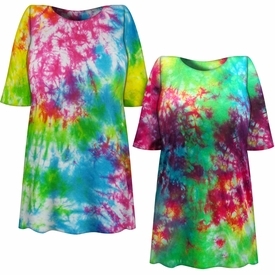 Explosive colors in green, blue, purple and pink cover this gorgeous tie dye plus size tshirt. The vibrant colors will appear to melt together in pretty tie dye patterns. 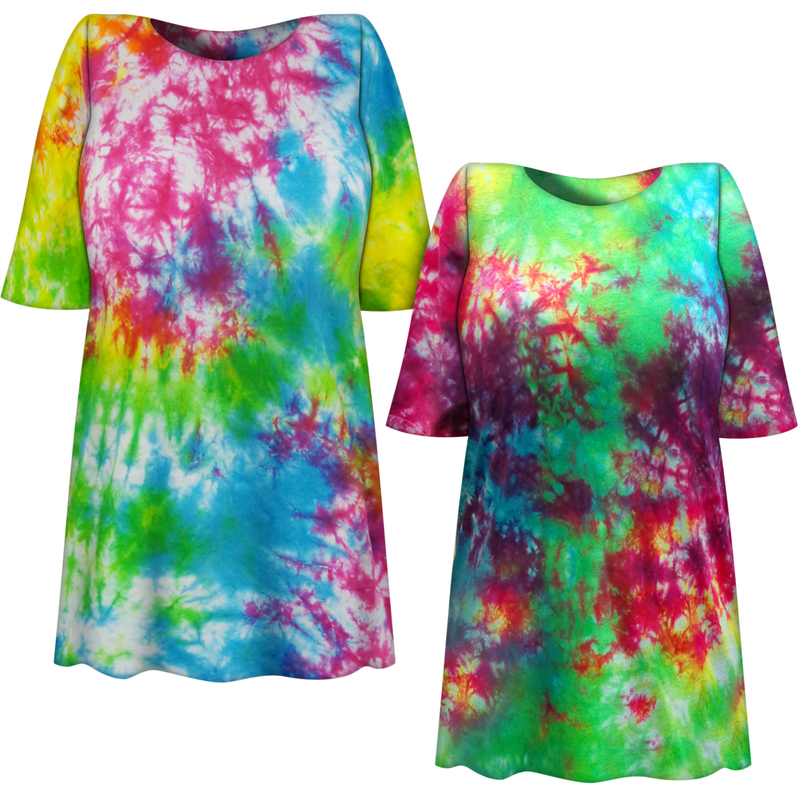 These are handcrafted tie dye plus size tshirts. Each shirt will be unique and different, no two are ever the same!